When you imagined a series finale for Teachers, what came to mind? Did you ever imagine the plucky and witty women trusted with the molding the minds of the children at Fillmore Elementary School would see one of theirs get married? And let's not forget that the end of Teachers marks the end of scripted television on TV Land. 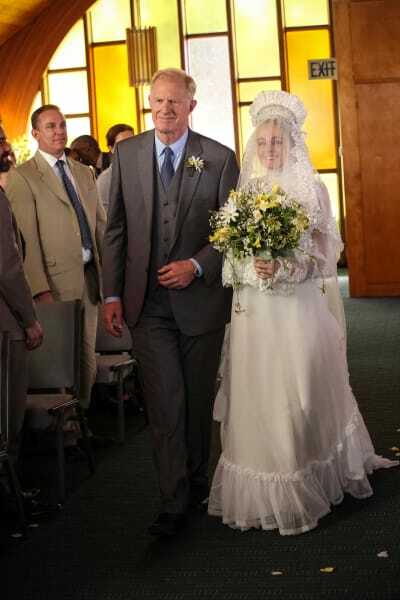 So let's all raise a glass to what is sure to be an incredible finale on which Mary Louise Bennigan marches down the aisle to marry Hot Dad! I'm pleased to offer to you your first look at her beautiful journey to married life. Is there any better scenario to send off the teachers of Fillmore than a wedding? Well, maybe the expectation of her friends and how they'll celebrate beforehand. Who will present to Ms. Bennigan something old, something new, something borrowed, or something blue? Related: Younger Moving to Paramount Network! And I don't want to alarm anyone, but it looks like Ms. Snap's work from the aesthetician goes terribly awry. She might have been trying to pamper her friends (and herself), but she goes overboard! Will Ms. Bennigan wish she'd chosen Ms. Watson for the coveted role of Maid of Honor after all? Since Ms. Watson isn't in the wedding party, how will she otherwise get to engage in the festivities? You're about to find out with our exclusive clip below. Get ready to say goodbye to the talented Katydids (for now). With this much talent, we expect they'll be back in no time! 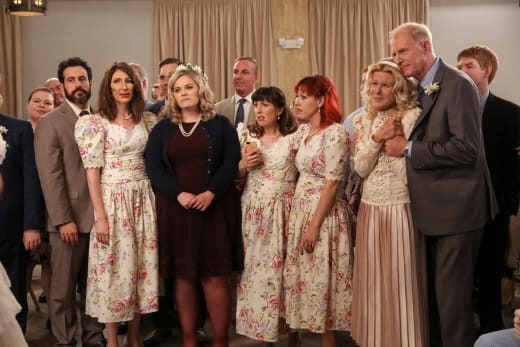 Teachers' series finale airs on TV Land Tuesday, March 19 at 10/9c.